Michelle Bergquist is a nationally recognized author, award-winning entrepreneur, lively moderator and engaging, professional speaker. 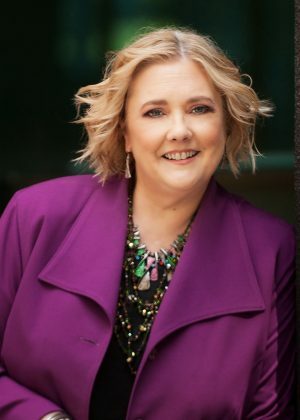 Currently, Michelle is the CEO and Co-Founder of Connected Women of Influence, a Southern California association of professional women leading people, projects, teams and companies. Michelle is also the Co-Founder of SUE Talks™. SUE Talks™ are bold, passionate talks and viewpoints, centered around business and success by successful, unstoppable, and empowering women. Michelle is a passionate advocate to advance women in business, and committed to designing platforms, programs, connections and collaborative opportunities that result in more women leading projects, teams, people and companies. Michelle has been recognized by the National Association of Women Business Owners as the Women’s Advocate of the Year, by the East County Chamber with the Women in Leadership Award, and by the San Diego Metro Magazine as one of the Women Who Impact San Diego. Another passion for Michelle is to see more women become published authors and thought-leaders. She is a Founding Partner of Women Lead Publishing, the go-to-source for aspiring women authors who want to share their expertise and build credibility, impact and influence through published works. With a passion to ‘give back’ in business, Michelle’s philanthropic efforts have resulted in over $250,000 in contributions for local nonprofit organizations that support women and young girls. Michelle’s corporate background includes thirteen years in commercial banking and over twenty-five years as an entrepreneur and business owner. Michelle is the author of two books: How Women Sabotage Their Success in Business…According to Men and How to Build a Million Dollar Database. Michelle’s professional background includes over twenty years expertise in helping companies develop winning business plans, obtain funding, increase sales and improve business performance and success.